We often don’t combine business and pleasure, but Quiksilver have found a way to jump straight from suits to the surf. 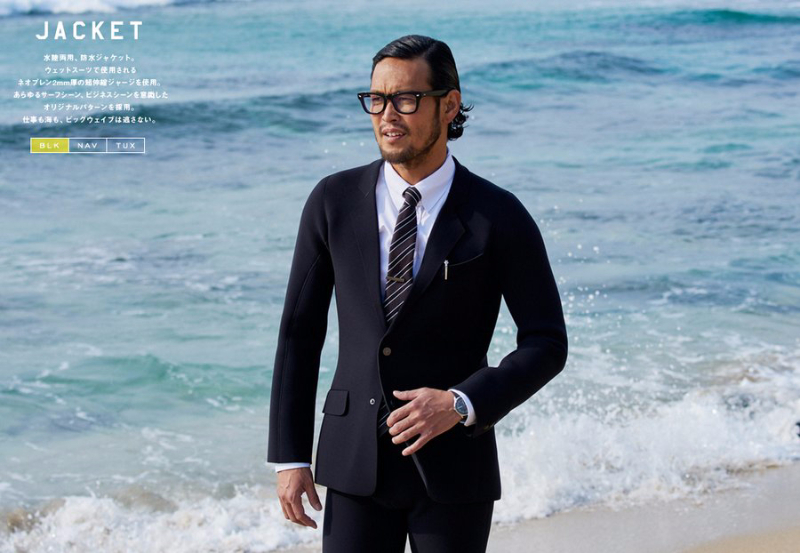 That’s right, the sportswear brand have created wetsuits that look like actual suits! Designed by the brand’s branch in Japan, these items have suitably been titled True Wetsuits. The material is a blend of jersey neoprene and a stretchy “dryfright” fabric, allowing the freedom for movement and more importantly, keeping the client waterproofed. In fact, the suit was especially designed to dry quickly, making it more accessible to a larger demographic. The suits themselves are complete with shirt, jacket, trousers and tie. There is even a bowtie, to add more of a playful feel. They fit as if tailored and come in a choice of black, navy or if you fancy, a tuxedo. The three styles are simple and are titled accordingly as Office Smart, Casual Friday and Party Tuxedo. So, if you fancy being dapper both on land and at sea, then you can grab a suit for a mere £1,300, seriously. All wetsuits are made to order and will take about two months to arrive. But the question is, how many of you are going to be catching a few waves before a meeting? We would love to see it take off and see all the great snaps. It is prom season after all.